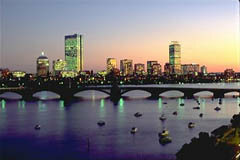 Come to Boston to ISCA33!! For those of you that missed the early hotel deadline at the Boston Park Plaza, we have been able to secure a block of rooms at the Boston Radisson Hotel (right across the street) at a rate of $189 available until June 2nd. To obtain this rate, contact the Radisson at (800) 333-3333 and make sure to mention that you are with ISCA-33 to obtain this rate.